Built by Agustin Goovaerts and Ernesto Claudi. Opened 4 Oct 1924. Named after the street where it is located, which is named after the Battle of Junín. Also used as a cinema. Demolished 1967 in favour of the "Torre Coltejer" skyscraper. 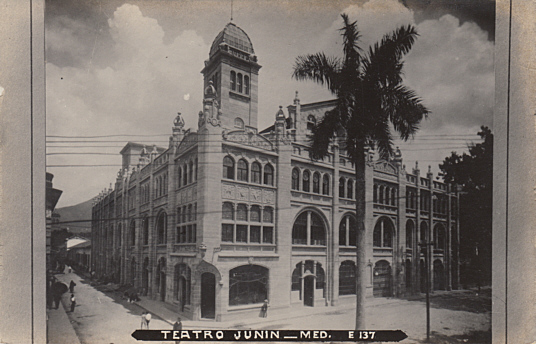 Front Text: "Teatro Junín - Med."